As the name suggests, Bahria Paradise is essentially going to be the most beautiful project resembling a mundane paradise. The development work is going on at rapid pace, and most of the initial infrastructure development work has already been completed in most of the area earmarked for this project. The major attraction of Bahria Paradise Karachi is the central park, that is located in precinct 54. It is made to be the central point of Paradise connected by circular roads leading to all parts of the community. 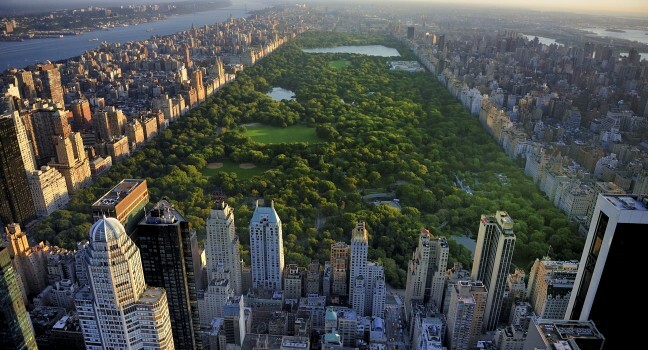 The central park will mainly comprise lush green landscapes, orchards and lakes surrounded by residential and commercial settlements. This is a unique living experience which is being featured for the first time in Pakistan by Bahria Town. Bahria Paradise will also feature a Taj Mahal monument which is going to be an iconic addition to the architectural excellence of Bahria Town. The Taj Mahal monument is planned in precinct 56, which comprise 1000 sqy residential plots. Bahria Paradise is an expensive project, so it is essentially going to have much higher development standards along with all other basic amenities. Bahria Town Karachi is still a developing story. Therefore, you can expect many more stupendous development projects and amenities in the years to come. Bahria Paradise is ideally located in the close vicinity of Grand Jamia Masjid. It starts from right at the back of Precinct 16 and extends up to Precinct 28. Its distance from super highway entrance is around 4 kms, which is a more appealing factor driving attention of investors. Prices of plots and villas are quite high in Bahria Paradise, however payment schedule is quite flexible i.e. 4 years installment plan. 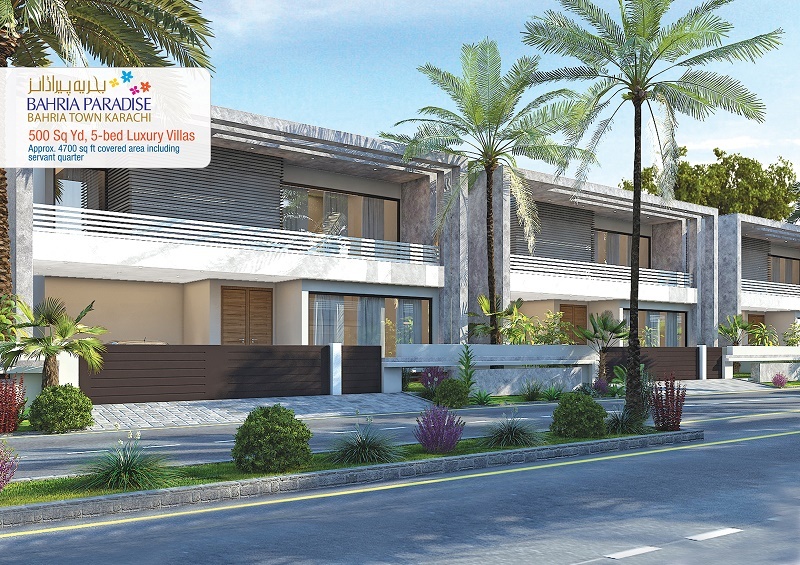 Especially Villa price is abnormally high, which also indicates that these villas will have very high standards of construction with exquisite elevation and exotic fittings. Note: Bahria Town has offered 4 years installment plan, however it claims to hand over possession within 2 years. Bahria Paradise 500 SQY Luxury Villas consist of approx. 4700 square feet covered area with 5 bedrooms and a servant quarter within a boundary wall. 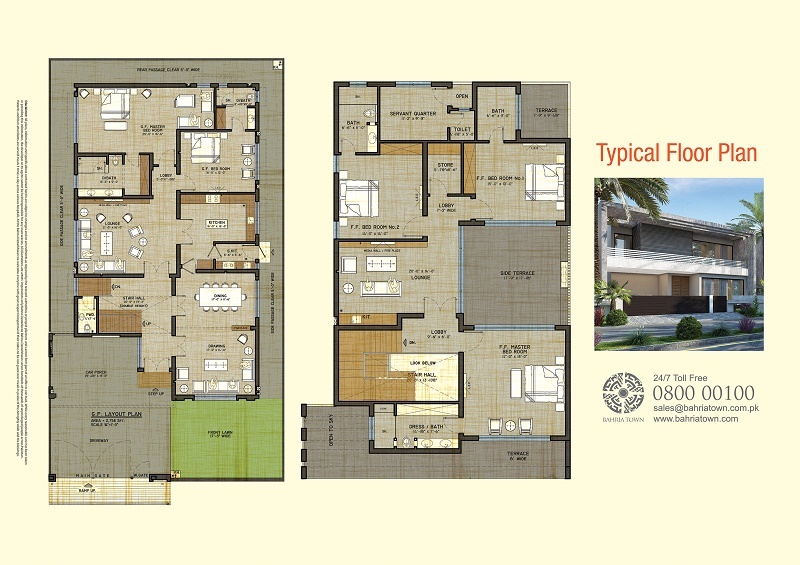 These villas are located in Precinct 51, which lies next to the central park. 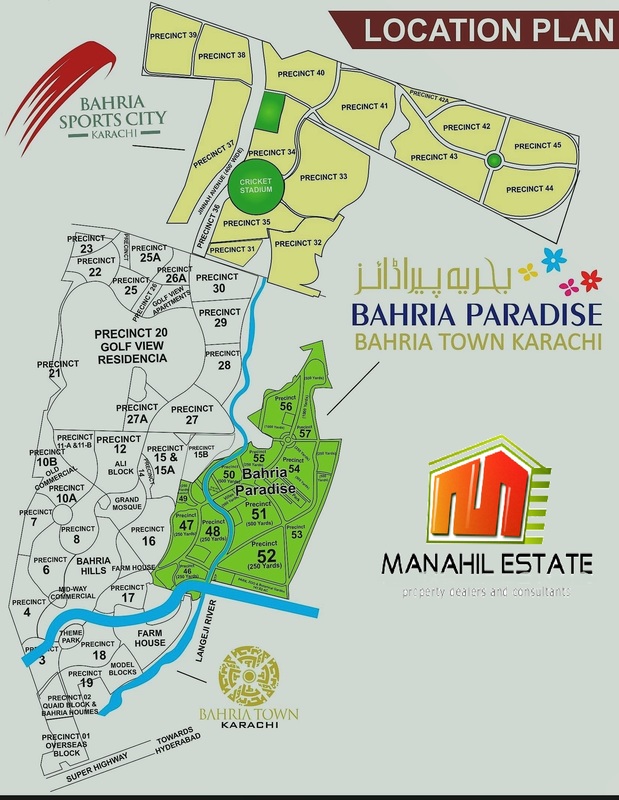 Should you require more information on Bahria Paradise Karachi, or you want to buy or sell your property, feel free to contact us via email at marketing@manahilestate.com. MPCHS B-17 F Block Map Released & Balloting Soon !